The Consumer Electronics Show is, as always, a flood of new technology, corporate announcements, products that will never ship, and embarrassing garbage. How better to sum it all up than with a draft? In this episode, we choose the top stories of the week, then move on to pick some vaporware and the worst story of the show. But don't worry, in the end we've got some fuzzy CES puppies to cheer you up. Is that fresh bread I smell? 2018 ends with a lot of grim dystopia type stuff involving social media services and the synergy power of media companies and internet providers. Meanwhile, Apple takes the unlikely step of lowering its ecosystem walls and adding Apple Music to Amazon Echo devices. We're going to need a lot of fuzzy puppies for this one. 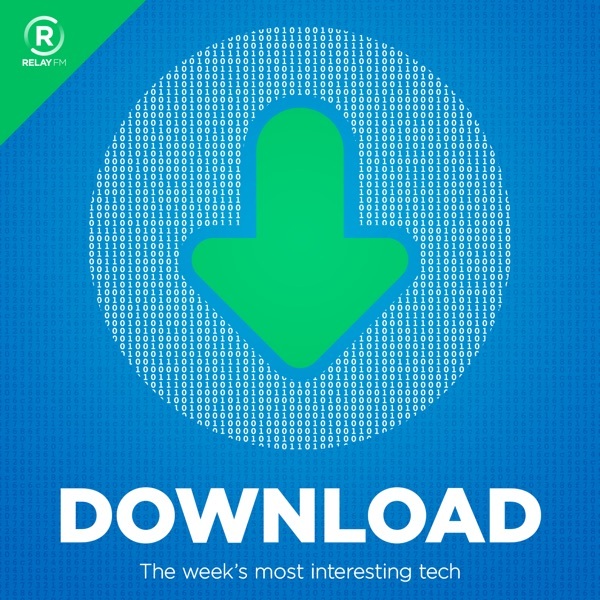 Download 83: Mr. Google Is My Father! Google's CEO gets grilled by Congress; Instagram gets a new product leader; Apple does a bunch of stuff; and Supermicro defends itself against Bloomberg. Plus we honor the 50th anniversary of the "Mother of all Demos", Casey hasn't seen "My Cousin Vinny", we try to save journalism and fail, and a puppy emerges from a box! Download 82: No! This Is Terrible! Samsung shows off a foldable phone prototype, Apple grows its services revenue and ships new products, Amazon gets into print catalogs and embraces the east coast, Comcast builds a cable box for cord cutters, and we mourn a couple of casualties of the streaming-service wars to come. Apple's CEO speaks out in favor of regulating online privacy, while his company plans an iPad and Mac product event for next week; Tesla's quarterly results suggest that things are looking up for electric cars; and another Oculus executive departs as we question the future prospects of VR tech. This week there's strange news from the phone world as Essential circles the drain while Palm climbs back out of the drain with a strange new accessory smartphone; Adobe embraces the iPad at last with a new version of Photoshop; Amazon refreshes the Kindle Paperwhite e-reader; and Google has to follow some intriguing new rules for Android in the EU. Apple's event nears, but the rumored names for its new iPhones are really weird; young people are abandoning Facebook in droves; social-media giants spend a day in the barrel on Capitol Hill; and Evernote loses much of its executive team amid rumors it's circling the drain. Apple rumor season is in full swing, Google brings "digital well-being" to YouTube viewing stats, Uber embraces scooters and ebikes, and conservatives complain about Google having a liberal bias. This week we learn that our apps may be watching us far more than we might have expected, imagine a wacky buddy comedy featuring two voice assistants who have to live together in a single device, observe Twitch and YouTube fighting over streaming stars, and count how many app subscriptions we've got. Several tech giants move to ban a guy who peddles conspiracies and snake oil from their platforms, while Twitter doesn't; MoviePass nears death, but everything may still be a service and the movies still need a shot in the arm; and Samsung rolls out a new Note, watch, and smart speaker. This week brought developer conferences from Google and Microsoft, and with them came a lot of news. We discuss Google's commitment to "digital well-being", updates to Google Assistant, an unnerving phone call from a robot, Microsoft's snuggling up to your iPhones and Android devices, and there's potential fraud in the land of fuzzy puppies. This week we analyze many of the phone announcements from Mobile World Congress, including a new Samsung Galaxy and the return of a phone you may remember from a film made in the previous century. Plus, Amazon is knocking on Google's door by acquiring all the Internet doorbell companies. It's corporate results season, so we check in on how things are going at all the tech giants, including Apple, Google, Amazon, Facebook, and Netflix. Oh, and a billionaire shot a sportscar into space. It's CES week, so there's a lot to talk about in the world of voice assistants, robots that may not be robots, cars, impractical televisions, smart bathrooms, and more. A new year brings big tech news stories, including a huge security flaw in almost every microprocessor out there, and Apple doing damage control with a discounted iPhone battery replacement program. And our panelists predict major trends in the tech world for the rest of the year. Wearable tech that can make us healthier or save our lives, a potential renewal of the debate of government access to encrypted data, and how Facebook knows everything about you even if you're not on Facebook. Plus, Jason pours one out for CompuServe. The iPhone X is almost here, and we've got three people who have one in their hands. Plus, what's the deal with Apple's iPhone X PR strategy? Meanwhile in D.C., tech companies are facing down Congress. It's a week of big questions: The Google Pixel 2 XL is showing all sorts of screen issues, but how big of a deal are the problems really going to be in the market? Is Amazon Key the utopian dream or creepy nightmare? Who's ordering an iPhone X? It's Apple's biggest week of the year. But announcing the iPhone 8 and iPhone X simultaneously is a risky move for the company to make. Also, what's the value of a cellular-connected Apple Watch, and does Apple's Apple TV 4K strategy make sense? Amazon is looking to push organic kale with its purchase of Whole Foods, while also taking on clothing subscription services with a new apparel box service. Over at Apple, an internal meeting about secrecy leaked to the press. Oh, sweet irony. It's Apple's big week, and so it's time for us to look at Apple's new connected speaker, the company's renewed focus on the iPad (and what it means for both the Mac and Windows), and its major step forward in bringing augmented-reality tech to developers. It's another week, and Amazon has another Echo for preorder. Microsoft's Build keynote brings changes to Windows 10 and how it interacts with the wider world, and the U.S. Department of Homeland Security is considering a ban on electronics larger than phones on flights across the Atlantic.